I have always enjoyed looking at photographs of food. I probably look at photos every day, it is a source of inspiration, I find, and then I get tempted to have some of what I am looking at, and next thing I find myself shopping the ingredients and baking. 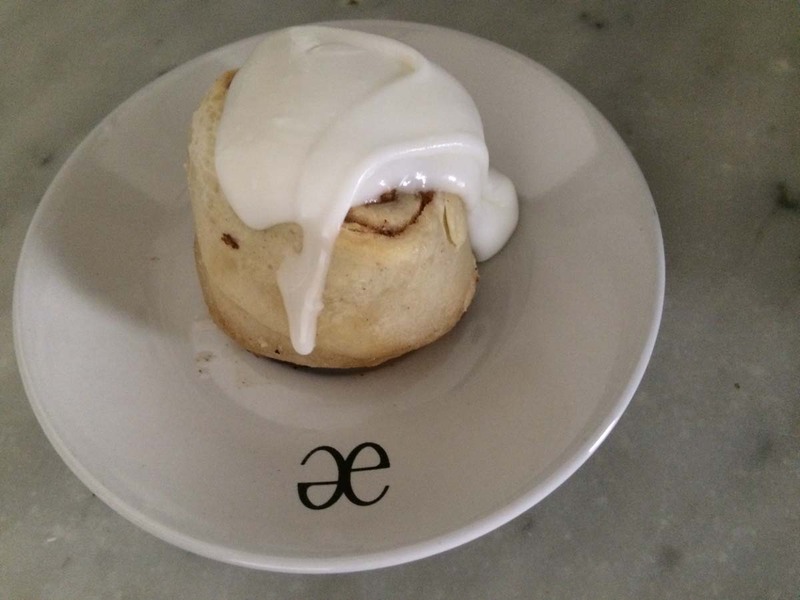 One day, while I was browsing food photos online, I came across these yummy looking Cinnamon Rolls. 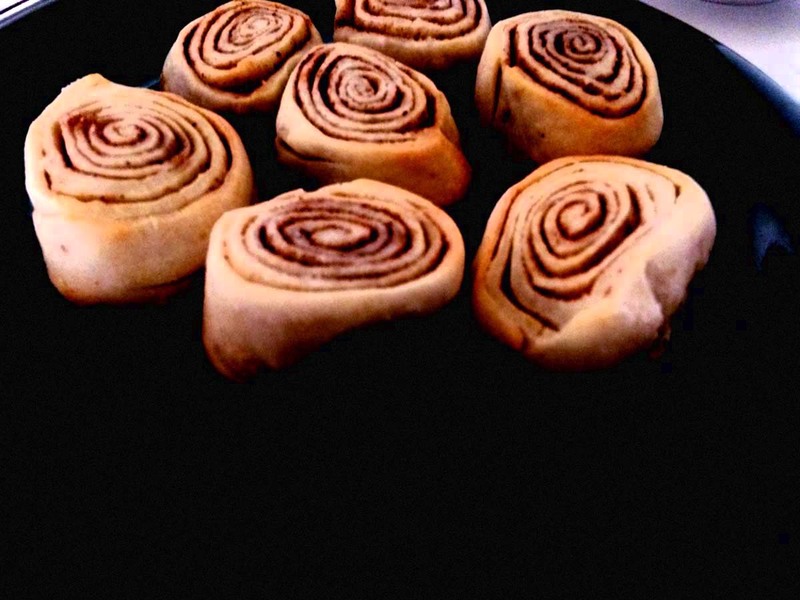 I have never baked Cinnamon Rolls before in my life, nor have my mother ever baked us any. I even rarely order any. They are not my usual choice unless I was invited for some. But this photograph was irresistible. This photograph belongs to the Gold Mine Journal Blog with the original recipe here. I got to browse their beautiful blog to find many common grounds. I started my blog to gather my scattered findings of what I find beautiful in life and share them online to a world that is so wide and diverse. As a Middle-Eastern living in the heart of the Middle-East, I have the passion to connect all over the world and exchange everything beautiful. The Gold Mine Journal also started what they call an online journal to document projects of the things they love. In a medium sauce pan, heat the milk & butter as you mix them together and turn the heat off as soon as you see small bubbles, make sure you don’t over boil. Turn off, and leave it to cool for 5 minutes. In a large bowl, add the melted milk & butter, sprinkle the yeast on top along with the sugar and salt and mix. Leave it aside for 5 minutes for the yeast to activate. Pour in the flour 1/2 a cup at a time and mix with a wooden spoon, until all the flour is in and mixed very well. You will then notice the dough is ready as you add your last 1/2 cup. Flour a surface and add all the dough as you start kneading it until it is in a nice smooth ball. Place the ball in a greased bowl and cover with plastic. Leave it in a warm area for about an hour. After one hour, remove the ball and roll out over a floured surface, Roll the dough into a large rectangle. For the stuffing, mix 1/2 or more of the butter along with the cinnamon and sugar and brush the surface of the rectangle dough equally. Roll the dough into a tight roll and cut it into 12 or desired rolls out of the log. Place the rolls in a cooking pan or greased pie plate and brush the remaining butter on top of each roll. Bake the rolls for about 25-30 minutes. Make sure the rolls are golden and not brown. 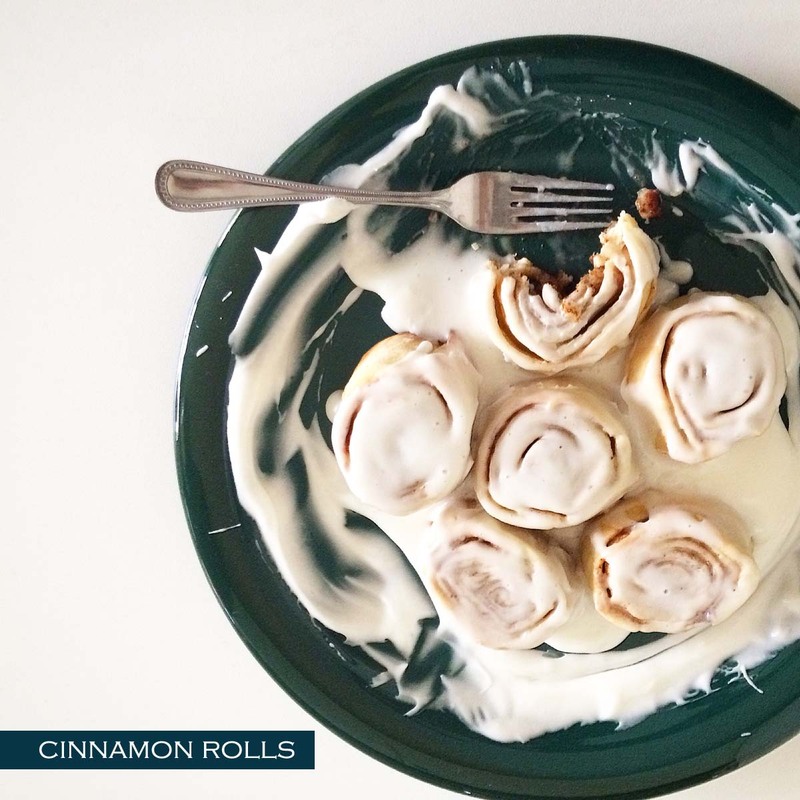 Once the rolls are ready, mix the powdered sugar and the cream together, and pour it over the Cinnamon Rolls.